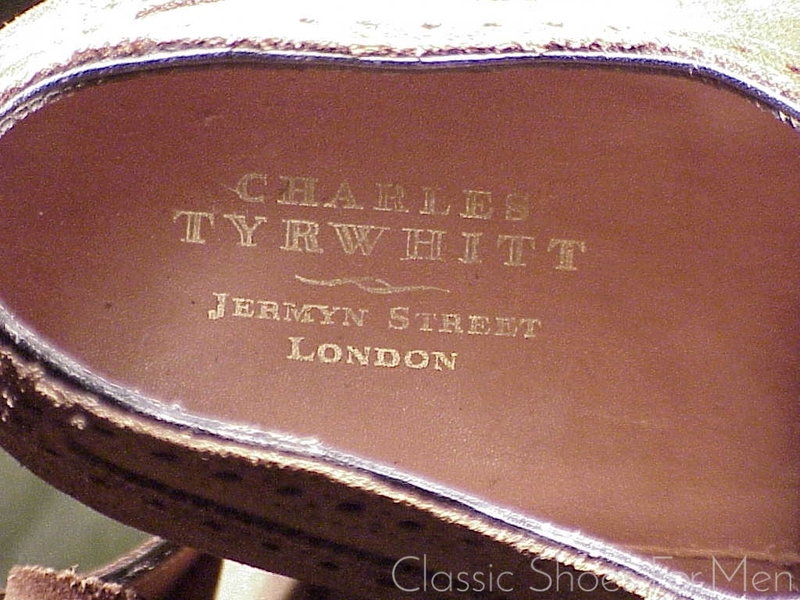 Charles Tyrwhitt is a well know shirt maker located at 92 Jermyn Street London SW1. 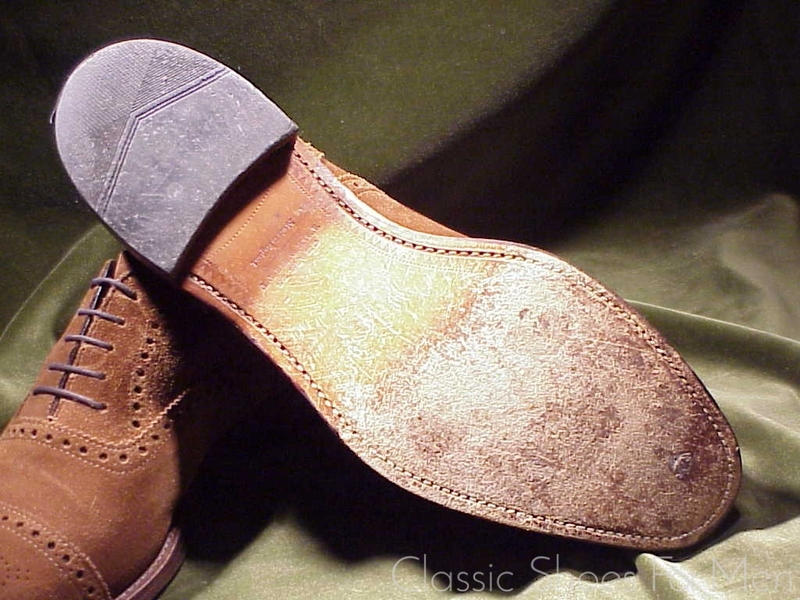 Their major business is mail order of good and price-worthy shirts and shoes but they maintain a Jermyn Street shop located, as it is, in the heart of London’s most elegant shopping district, rubbing shoulders with Turnbull & Asser, Alfred Dunhill, Thomas Pink, Hilditch & Key, John Lobb, Church’s, Edward Green, Crockett & Jones, New & Lingwood and WS Foster & Son, to name but a few of the luminaries of gentlemen’s furnishings located there. Befitting this august company, Tyrwhitt purveys only their superior premium lines in the Jermyn Street shop. 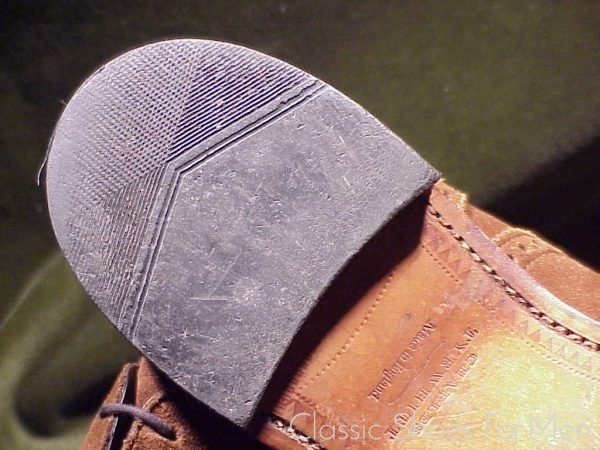 The present shoe is such an example. 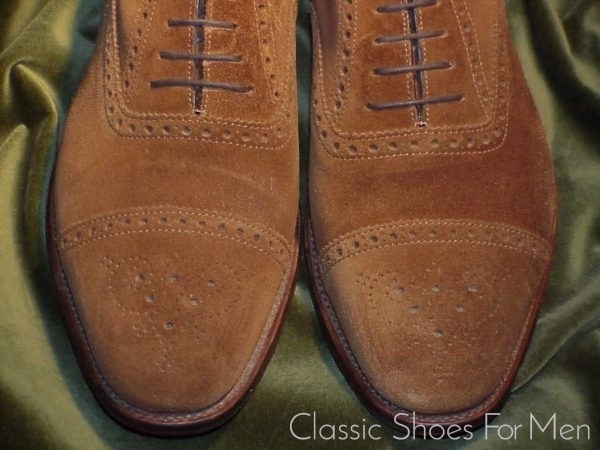 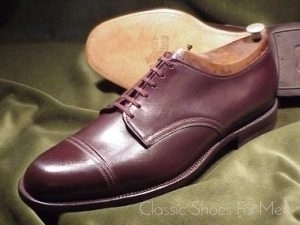 Unlike many of their shoes provided by Alfred Sargent and Loake, these and their other boots for the Jermyn Street shop are made by Crockett or, as in this case, with excellent results, by Grenson. 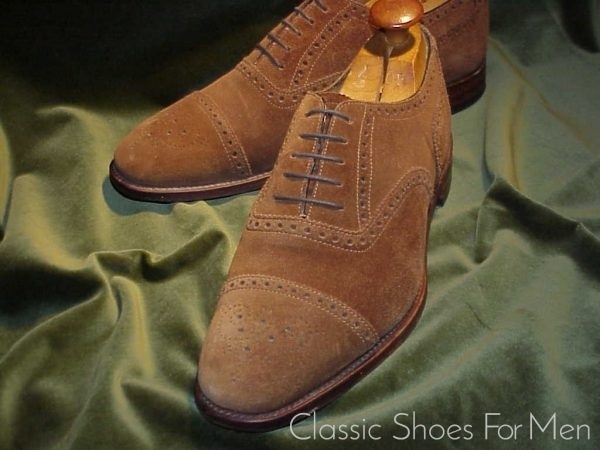 These shoes are a perfect complement to your baggy tweeds, old khakis, homespun checks or ancient field jackets inherited from a departed relative. 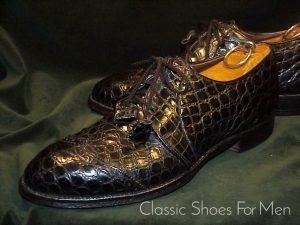 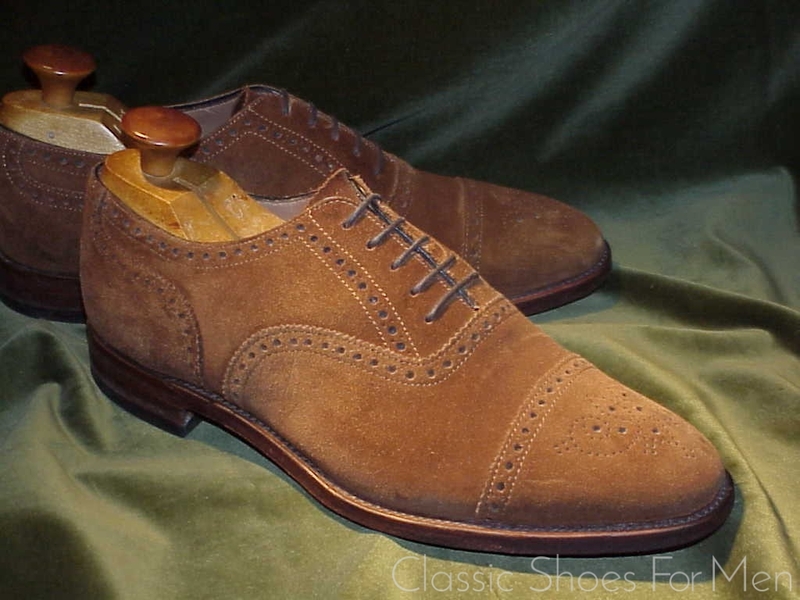 In short an ideal shoe for surveying your estates or for a foray into the village for a pint with the townsfolk. 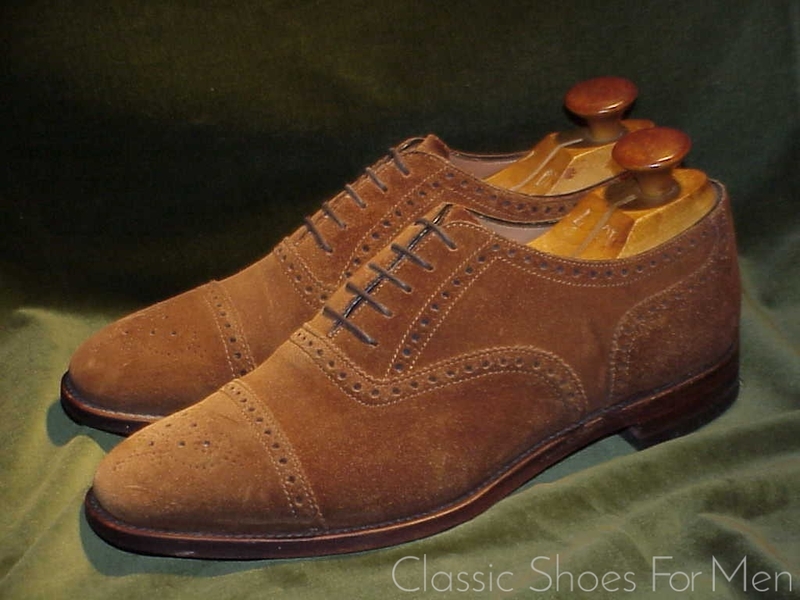 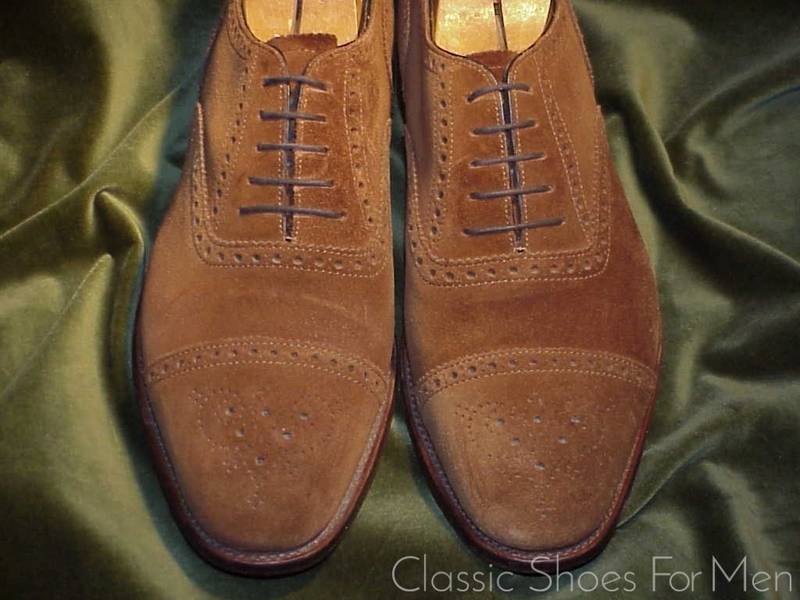 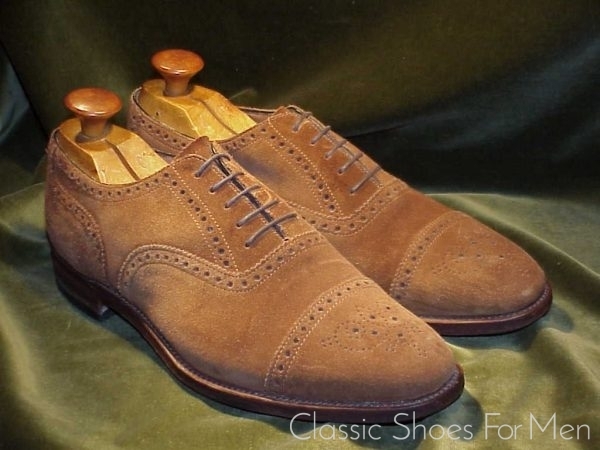 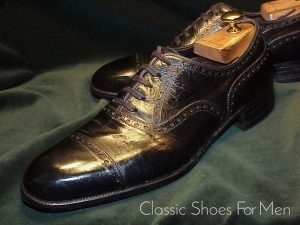 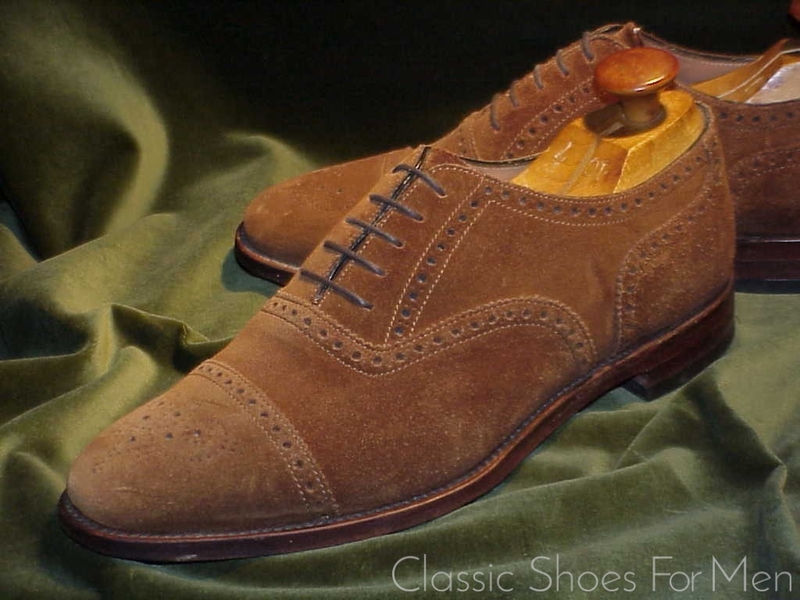 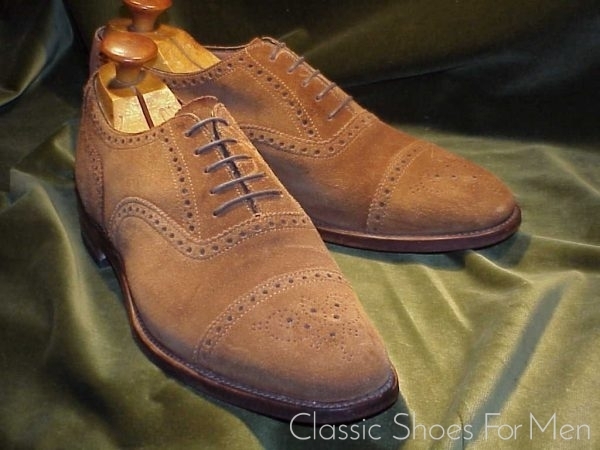 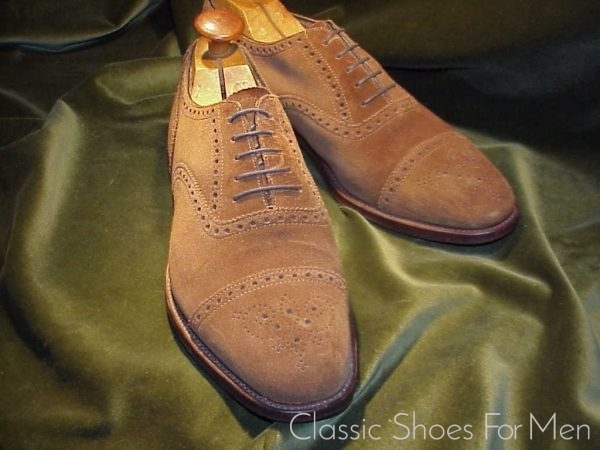 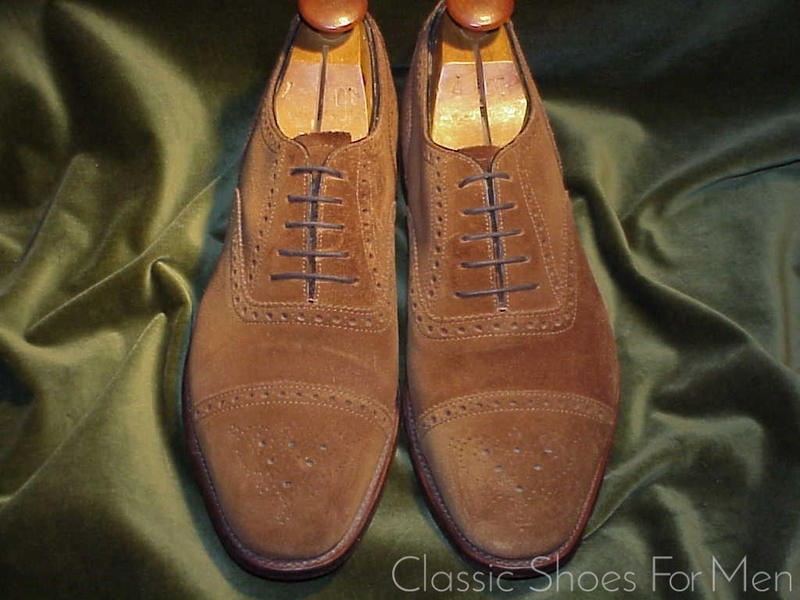 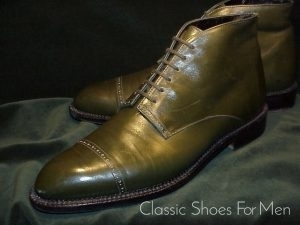 Moreover, this is the kind of suede that requires no more than a quick brushing when dry to return to handsome service. UK 10.5E.......US 11.5D......Continental 45D, for the medium width foot. 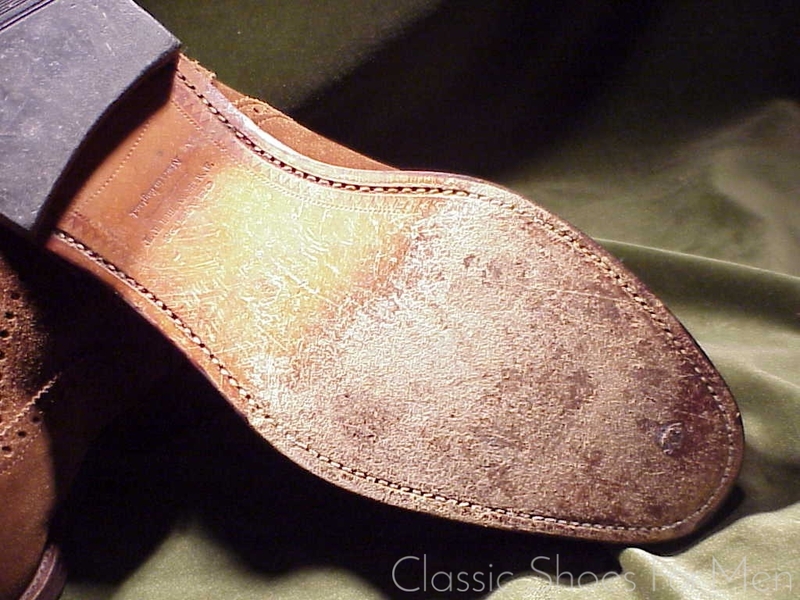 Showing modest wear to bottoms.